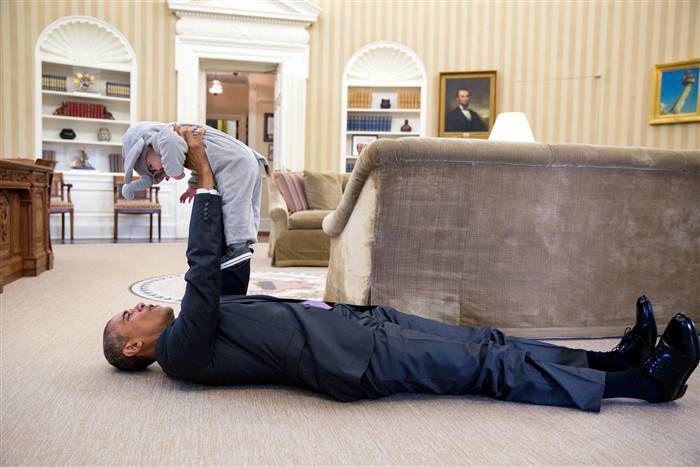 We’ve seen lots of President Obama’s photos flooding the streets of the internet. But not Obama’s rarest pictures. Yes, you read that right! 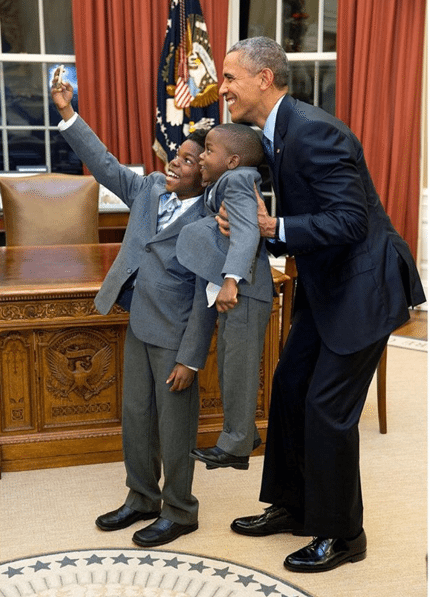 Even though the US President Barack Obama has his picture taken 500 to 2000 times a day on average, most of these pictures do not surface on mainstream media. In fact, some of them have never been seen. 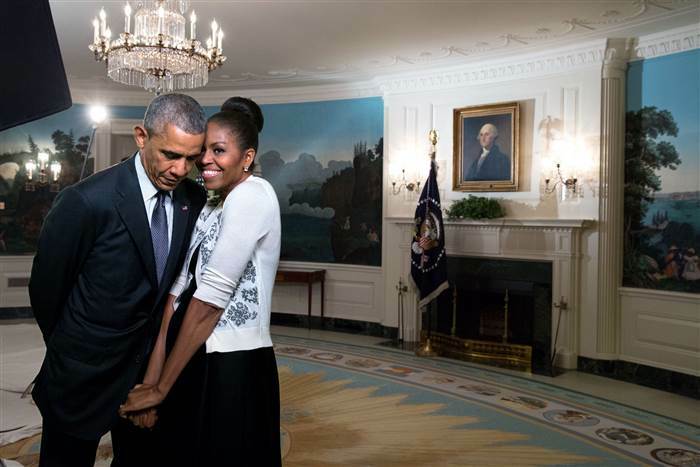 Pete Souza, a photojournalist who is the official White House photographer, and who is overly enthusiastic about his job says he takes quite a number of pictures of the First family each year, in fact, they could be a quarter million. 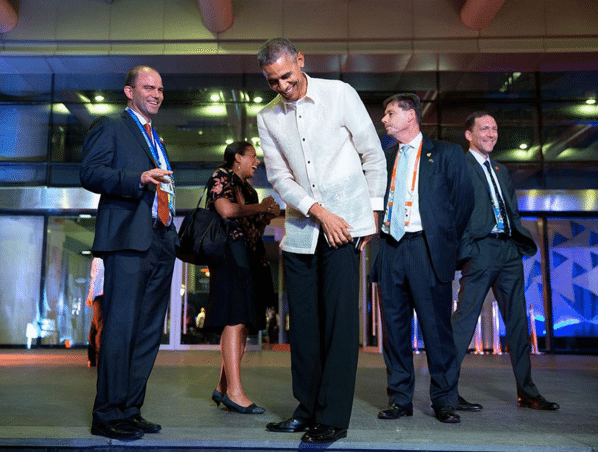 And the amazing thing about the stunning pictures is that they are taken at moments when the president was at ease. The First Family joins Amelia Boynton Robinson and co, honoring the Sacrifices made on ‘Bloody Sunday’ at the Edmund Pettus Bridge in Selma, Alabama. March 7, 2015, marked the 50th Anniversary when peaceful civil rights demonstrators were savagely beaten by police with billy clubs and tear gas as they crossed the Edmund Pettus Bridge in Selma demanding the right to vote. The site is one of the most searing days of the civil rights era which historians credit with helping to usher in the passage of the landmark Voting Rights Act days later. 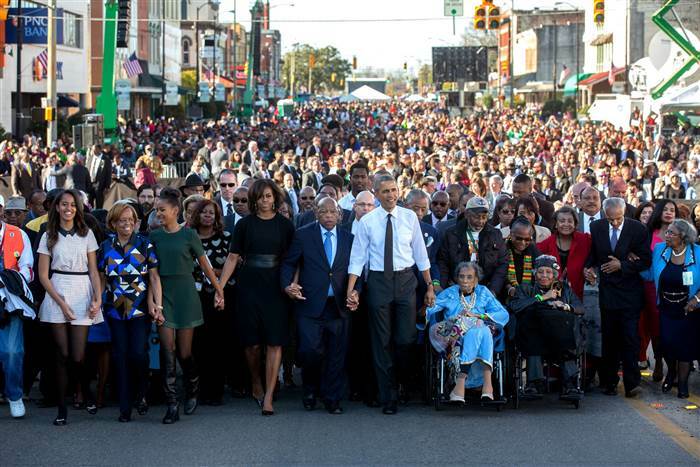 Obama, joined by his wife Michelle and their daughters, walked hand-in-hand with one of the original Selma marchers, Congressman John Lewis, who suffered a cracked skull from the tragic beating on that “Bloody Sunday,” across the 1,200-foot-long, steel-and-concrete bridge to commemorate the bloody civil rights confrontation which transformed America. Former president George W. Bush and other dignitaries and activists joined them. 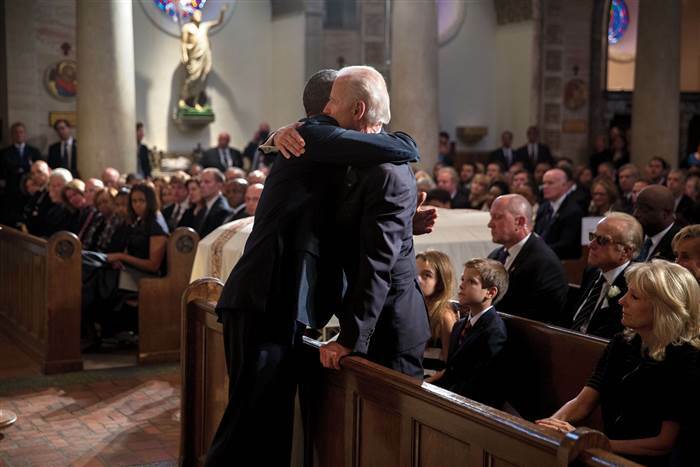 President Obama embraces Vice President Joe Biden at his Son, Beau’s, funeral. Beau Biden, eldest son of the vice president and father of two died of brain cancer in May 2015 at the age of 46. The former Delaware attorney general and national guardsman was buried at St. Anthony of Padua Roman Catholic Church in Wilmington, Delaware, June 6, 2015. Obama attended the funeral with his wife, Michelle, their daughters, Malia and Sasha, and his mother-in-law, Mary Robinson. The President taking a selfie with the United States Women’s National Soccer Team after their FIFA World Cup victory in 2015. The USA team is the only country to win three Women’s World Cup titles and score the most goals (five) in a WWC Final. To celebrate their victory, Obama honored the USWNT in the East Room, acknowledging their accomplishments which he described as monumental for American sports. Curling up with the First Lady during the taping for the 2015 World Expo in the Diplomatic Reception Room of the White House. Chancellor Angela Merkel and President Obama at the G7 Summit. 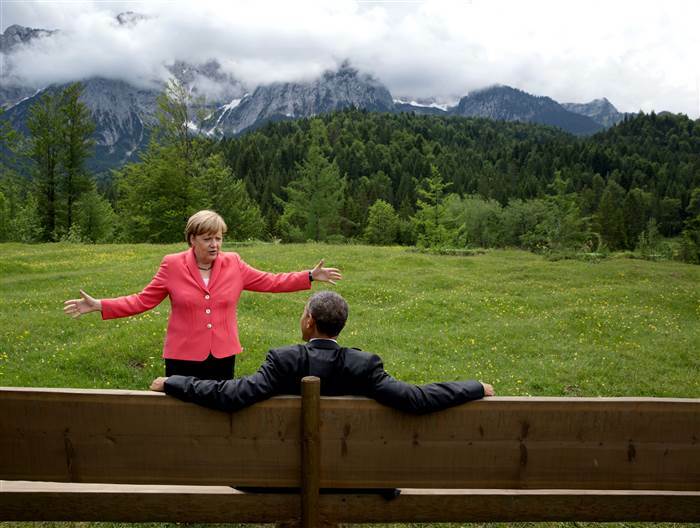 This iconic photo shows the Cold War allies having a deep conversation, with the German Alps in the background, during the 41st meeting held in Schloss Elmau, Krün, Bavaria, Germany on June 7th, 2015. The studious and cautious German leader seemed to enjoy a chumminess with Obama by displaying an easy interaction with him. At the summit, Obama described the United States and Germany as “inseparable allies” while Merkel said both countries were essential partners. Merkel once shared hugs and smiles and intimate dinners with Obama as their relationship evolved over the years. Forget what the conservatives said! Obama respects men of God. See the adorable First Family greet Pope Francis during a historic, six-day visit to the United States. 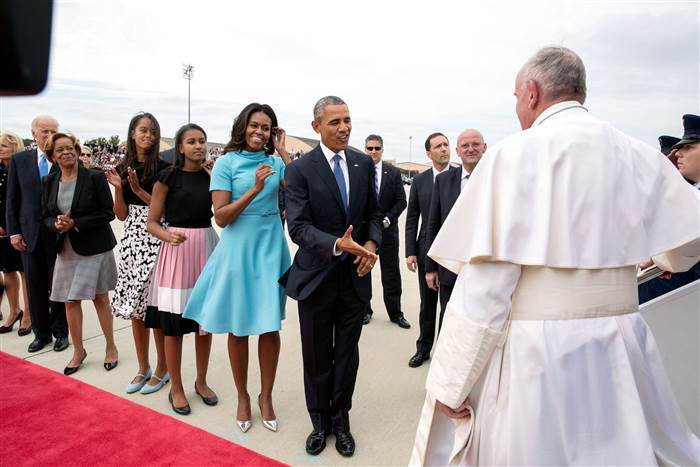 On arrival during the highly anticipated visit, Pope Francis was greeted by the first family alongside Vice President Joe Biden, a Catholic, with his family. This adorable photo was taken on October 30, 2015, with the daughter of Ben Rhodes, the Deputy National Security Adviser, Ella Harper, wearing her elephant costume for a Halloween event. 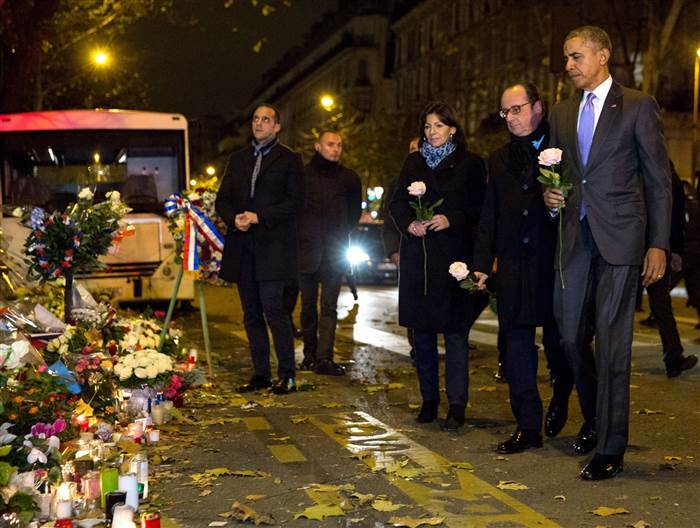 President Obama makes an unexpected stop to honor the victims of the Paris attacks in 2015. On arrival at Orly Airport, in Paris for a United Nations conference on climate change, Obama’s motorcade made an unannounced stop at the Bataclan concert hall, the site of the Nov. 13 attacks, where some 130 people died in the deadliest attack on French soil in more than a half-century. At Bataclan, terrorists wrought so much horror, shooting concertgoers before blowing themselves up with suicide bombs. French President Francois Hollande and the mayor of Paris, Anne Hidalgo, joined Obama each of whom placed single white roses in front of the makeshift memorial and bowed their heads for a long moment of silence. President Obama and Alaska Gov. Bill Walker look out the window of Air Force One as the plane flew into Anchorage. Obama and dance! Once again, he was pictured pulling a Nigerian dance step after returning from a nine-day trip around the world. The moment President Obama tasked Vice President Biden to spearhead an initiative to cure cancer. 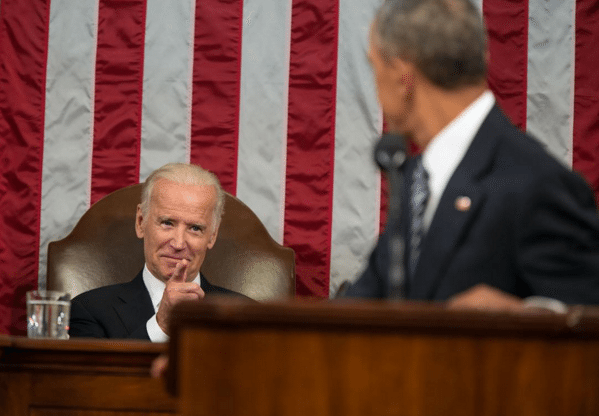 Biden was apparently surprised when Obama during his State of the Union Address, announced a new national cancer initiative, led by the Vice President who lost his 46-year-old son, Joseph Beau Biden to brain cancer in 2015. 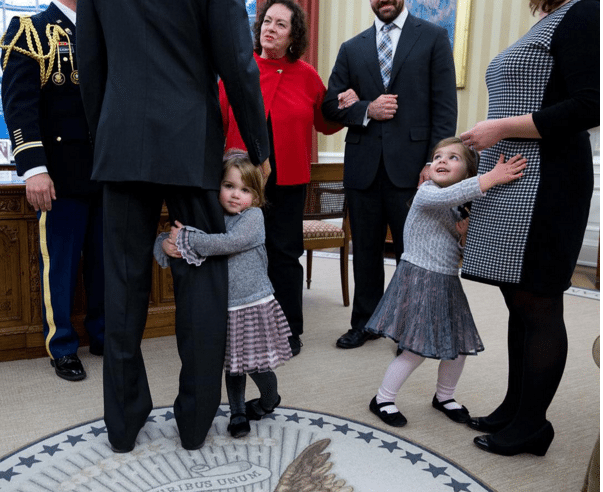 A 3-year-old girl embraces President Obama as her sister looks up at the President while holding on to her mother. Pete Souza caught the great moment! Obama has shown over the years, that he loves children, not just his two daughters, but lots of other kids.